KOTA KINABALU: The Borneo Conservation Trust (BCT) with the support from relevant government department (i.e. 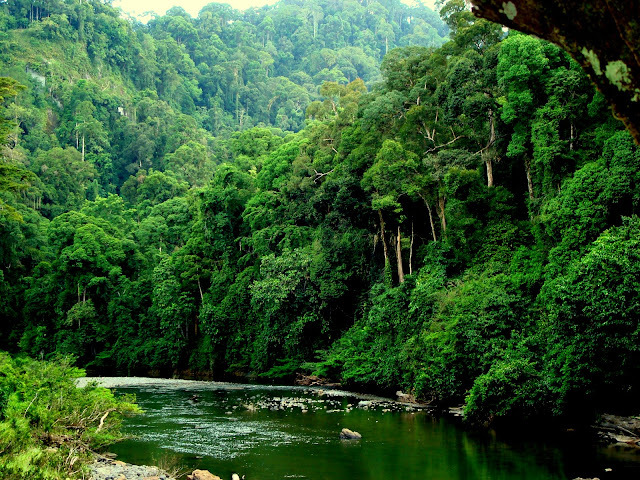 Sabah Wildlife Department (SWD)) are in the midst of preparing a five to 10 years programme as a pilot project to manage multiple-use forest landscape and secure the Sabah Mega Biodiversity in Gunung Rara and Kalabakan. Borneo Conservation Trust (BCT) conservation and research head, Raymond Alfred said in a statement that under the programme, each plantation would be needed to establish their own wildlife conservation unit. Among others, the programme aims to initiative a monitoring programme to assess the status of elephants population. It also hopes to start the honorary wildlife warden programme as well as manage and restore degraded forests corridor, particularly those within the DaMaI (Danum Valley, Maliau Basin and Imbak Canyon) corridor. Additionally through the programme, they also hoped to initiative enforcement using MIST and provide mitigation training and management measures to reduce human – elephant conflicts, he said. Aside from that, the sustainable practice in multiple use forest management landscape would also be initiated. The programme shall also provide support to the “Kejora” cost of living and medical requirements in Lok Kawi zoo. “BCT is now in discussion with our relevant key partners to materialize the 10 years programme. We hope to get the support from the State Government and relevant departments in charge of Tourism and Plantations,” he said.